Want To Build Your Own Customisable Flat On The Gold Coast Or In Brisbane? Now You Can. Superior Granny Flats Has Granny Flats For Sale! How many companies will let their customers branch off the standardised colour charts when building a granny flat? Or allowing you to pick and choose what you’d like (or prefer not to have) without putting up a fuss? We don’t know of many. 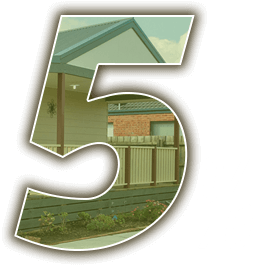 That’s one of the many reasons Australians like yourself are looking towards Superior Granny Flats when wanting to invest in a granny flat for sale in Gold Coast, or even Brisbane. We understand that you want to create a flat for a very specific reason, and we want to make sure that when building your flat, that we meet every one of your guidelines. We listen to your needs, and cannot wait to see the wonder in your eyes once we’ve completed the assembly of your brand new granny flat. When talking to all of our clients, one of the most popular reasons for buying a flat on their property is to take care of their loved ones – traditionally, ageing parents that need special care. And a common problem that we’ve seen is that not many homes come with the particular additions to make a home a safer environment. Installing those additions in your own home as standalone products has become increasingly expensive, so many of our customers are left at a standstill of wanting to provide a safe and comfortable home for their parents, but also needing to stay within a set budget. With the needs of our customers in mind, we began installing additional ideas to our granny flats to help you care for your parents while living in Brisbane or the gold coast. All of our flats are adjustable in terms of adding on extras like security doors, custom flooring, and separate heating and cooling systems. Those have always been options on the flats we’ve had up for sale, but we understand that there are a range of different age groups living in our granny flats, and we wanted to help make the process of assisting your loved ones a little bit easier. So when designing a flat, or when discussing what you would like to see in your home addition, there are several options available to you. If you need wider doorways to adapt to the size of a wheelchair, we can enlarge them up to 870mm to allow easier access between rooms. On top of that, we have ramps to connect to your porch landings so that wheelchairs, scooters, and walkers alike can easily go to and from your granny flat with ease. Bathrooms are able to be equipped with no-slip flooring, grab rails around the toilet and inside the shower. Understanding that the bath areas can be a prime area for trips and slips inspired us to begin offering shower seats and bases that do not come built with steps. If you need additional features, please contact one of our knowledgeable builders on 0419 540 393 to see what else we can do! © Copyright 2019 Superior Granny Flats. All Rights Reserved. Minimum 2x double powerpoint per room & 2x above Kitchen bench. Additional powerpoints for washing machine, refrigerator, oven, cooktop & split system. 1x phone & TV point to Lounge Room. Note: No TV aerial or phone connection is supplied. A conduit containing the phone line and draw string will be made available for the owner to arrange connection with the appropriate authority. We can tailor a solution that meets your needs, ask us for a price if you have a particular upgrade in mind. Should the local authority deem the site to be prone to termite attack, chemical treatment as well as a raised floor level must be employed at additional cost to the owner. Should the local authority deem the site to be in a bushfire prone area, there may be additional cost to the owner if the Bushfire Attack Level (BAL) is deemed to be high enough.